The permanent surface mounted wash pad is a sealed bund made from fibreglass panels, making a solid liquid containment area for tough applications. This image is an illustration of what can be achieved; Water reclaim systems and wash pads are made to order and individually specified due to the varied use and types of washing etc. In order to supply spec and a quote we would need information such as vehicle washing patterns and frequencies from you. 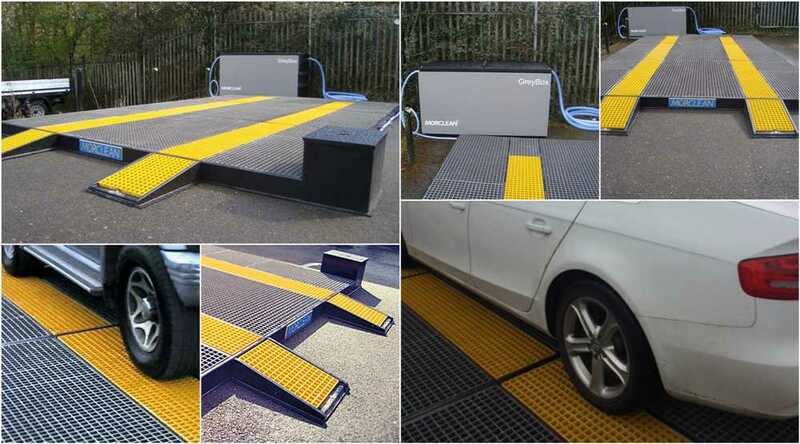 The wash pad is fitted with ramps for vehicle access and is built in sections so it can be more easily transported and installed. The wash mat is available in 5x3M and 6x4M standard sizes as well as other bespoke dimensions. 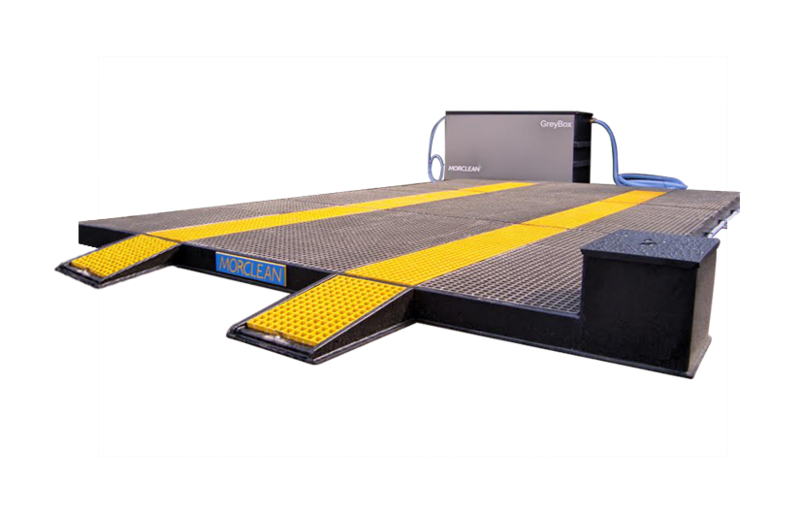 The external gratings are easily removed for cleaning and maintenance, and the Morclean wash bay is manufactured at just 100mm height to prevent accidental damage should the vehicle not enter or exit using the provided ramps. The wash mat can also be used in conjunction with the Morclean Pump Station which is a surface mounted device housed in a kiosk that collects water from the outlet of the wash pad and then pumps it to the drain.The Wash Pad captures all the water into a drain and a surface mounted sump pump which can be discharged to foul, partially treated via a Morclean BlueBox or GreyBox, or pumped to a water reclaim system. A traditional concrete wash pad is costly and not always possible to install where the land is Leasehold. The WashMan fixed wash pad can be installed in hours. 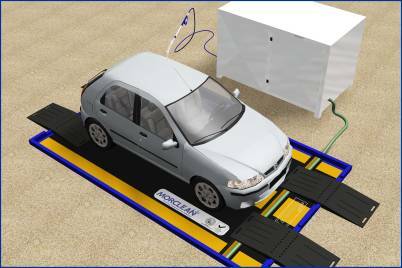 The water-tight wash bay has been further developed by Morclean in response to market demand, for heavier and frequent use where an inflatable temporary solution is not the most effective method. Rather than build a permanent facility (which often requires substantial investments and is not always an economical solution) the permanent wash pad with fixed kerbs offers an alternative to this. The receptacle is semi portable and easy to install within hours of delivery. In addition, the receptacle can be supplied to meet your specifications in terms of dimensions and design, etc, Morclean provide a bespoke service for individual and unique applications. Unlike a traditional concrete structure, which takes weeks to construct, the wash pad water capture system is installed quickly and with minimal disturbance to the ground. 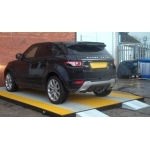 The Permanent Wash pad is normally used in heavy duty and hostile environment and is designed to last. Built from rigid fibreglass panels the Permanent Wash Pad is a sealed bund that will replace traditional concrete wash pads. It is a corrosion resistant, fire resistant, impact resistant, none slip and maintenance free. The Washman Wash Pad captures al the water into a 100mm drain which can be discharged to foul or pumped to a water reclaim system.